Ever heard of big time Silicon Valley venture capitalist and business mogul Tim Draper? Well apparently the apple does not fall far from the tree, regardless of gender… or the gender dynamics of the whole orchard. 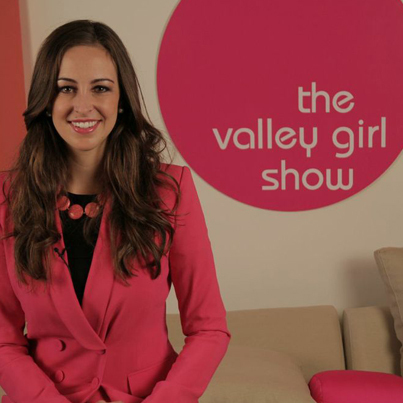 Tim Draper’s daughter Jesse Draper has been making a major mark of her own in the tech world with her show, The Valley Girl Show. Clearly, Jesse has as much pride in her Silicon Valley roots as her father, as well as in the people who make its most prominent industry go tick. But Jesse takes it one step further, ensuring that everyone in the tech industry gets an equal chance at the spotlight. Being a women in a man’s world herself, Jesse Draper has made it part of her mission to feature as many female as male guests on her show. She’s hosted the likes of both Elon Musk and Sheryl Sandberg. Jesse inspiration for creating her show came about as she watched CNN and CNBC growing up, and noticed that the interviewed entrepreneurs were only grilled about the financial side of their business, and never shared anything about their inspiration or vision. So she started recording her own show 6 years ago in her parents’ garage, and has grown it into a must-see program on Fox TV today. Well I’m excited to see another Tough Cookie out there encouraging more women to be confident, put themselves out there and grab life by the balls. Perhaps Jesse is also related to wildly successful advertising mogul Don Draper. OK obviously not. But then… it wouldn’t be a terribly hard picture to imagine.